English Treen Salt early 19th century. 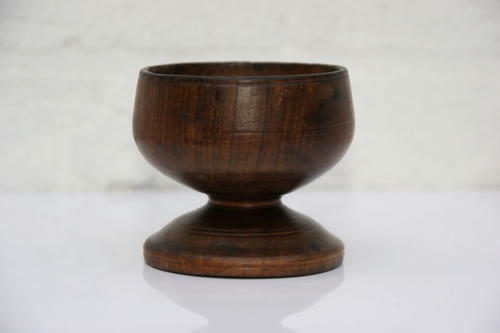 This is a lovely satisfying form Early 19th possibly late 18th century English Treen salt, fine condition but not much colour, will respond to waxing and polishing over time. hard to positively identify wood, possibly Yew.